Tottenham Hotspur Stadium is located in North London, and the easiest way to reach the ground is by public transport. 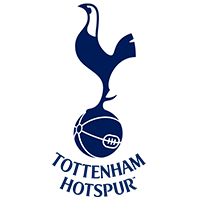 We recommend you take the Abellio Greater Anglia service to White Hart Lane station, or Northumberland Park station. The journey from Liverpool Street to either destination takes around 20 minutes. White Hart Lane Station is a five-minute walk from the stadium. On matchdays, Northumberland Park is often a little quieter, but the walk is around double the distance and can take between 10-15 minutes. At Seven Sisters you can either follow the signs and walk straight up Tottenham High Road, or catch the Abellio Greater Anglia train to White Hart Lane station. Alternatively you can take a bus directly to the stadium entrance. The station is located at Bishopsgate, London EC2M 7PY; 20 mins away. From Liverpool Street, we recommend you take the Abellio Greater Anglia service to White Hart Lane station. From there the stadium is a 5-minute walk. The station is located at Euston Road, NW1 2SA; 4 miles away. From Kings Cross St. Pancras fans can take the Victoria line to Seven Sisters, and follow the directions above. The station is located at Euston Road, NW1 2AE which is 3.8 miles from the stadium. From Euston fans can take the Victoria Line to Seven Sisters. There are a number of excellent bus services from Seven Sisters running past the stadium entrance. You are recommended to take bus routes 149, 259, 279 349 or W3, which all make stops outside of the stadium. Tottenham Hotspur Stadium is north-east of Central London, outside of the Congestion Charge zone. The A10/Tottenham High Road runs north-to-south past the stadium, all the way to City/Commercial Road; which runs east-to-west through Central London, past King’s Cross and Euston stations. Tottenham Hotspur Stadium is located in a busy residential part of North London, meaning roads immediately around the stadium are often closed or restricted-access on matchdays. Park Lane approaches the stadium from the east, Church Road from the West, and the Tottenham High Road from the north and south. Public transport is generally considered the best way to reach the stadium on a matchday as there is a lack of nearby parking options. There are no stadium car parks that fans can use. There is also a controlled residents’ parking zone around the stadium area, so if you're driving please take care to ensure you are not parked in an area where a permit is required. Built on the site of their 118-year White Hart Lane home, Tottenham Hotspur Stadium was opened during the 2018/19 season. The first match to be played at the newly-opened Tottenham Hotspur Stadium will be Spurs' Premier League fixture versus Crystal Palace.